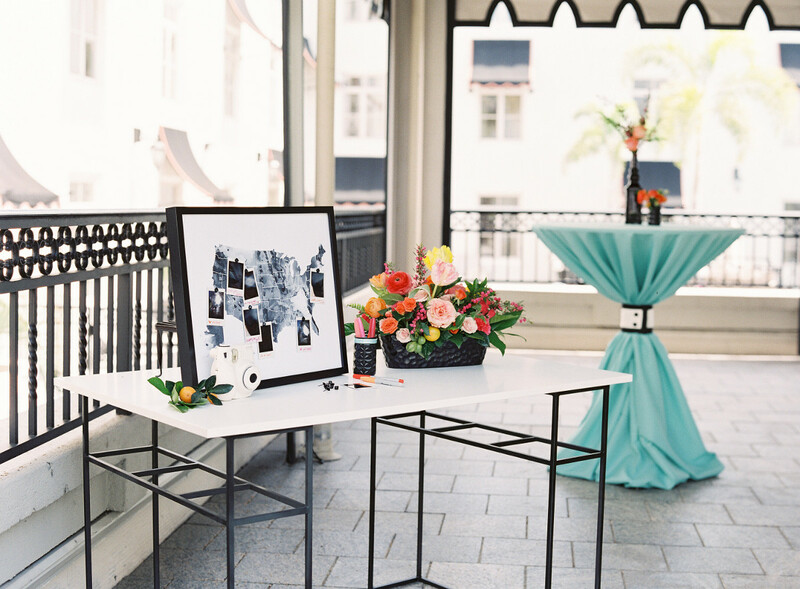 We were beyond delighted to be asked by the SW team to help pull together, design + implement this styled shoot. 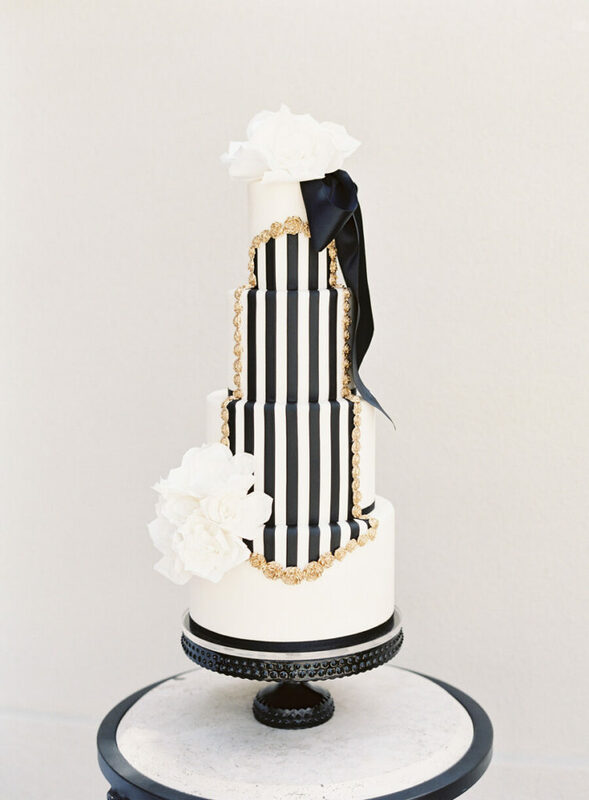 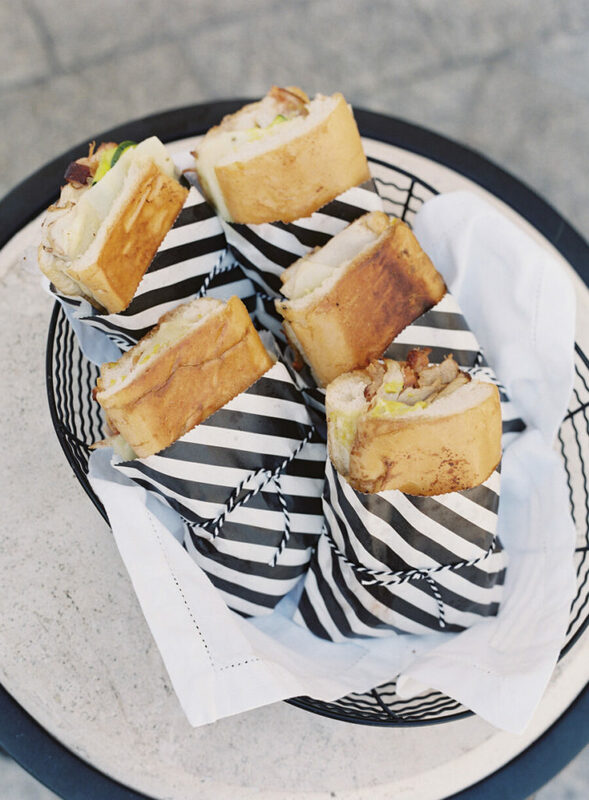 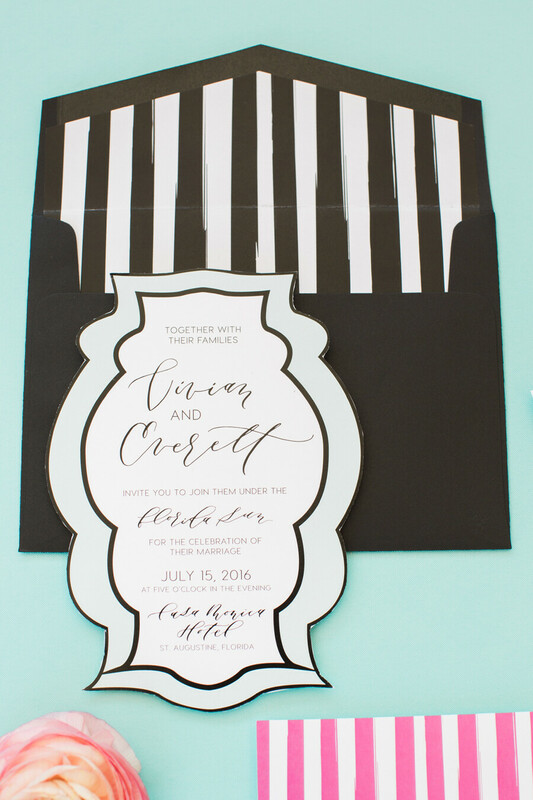 We fell in love with the Floridan, citrus vibe and complementing the whole look with a bold black & white stripe added the needed touch of chic sophistication! 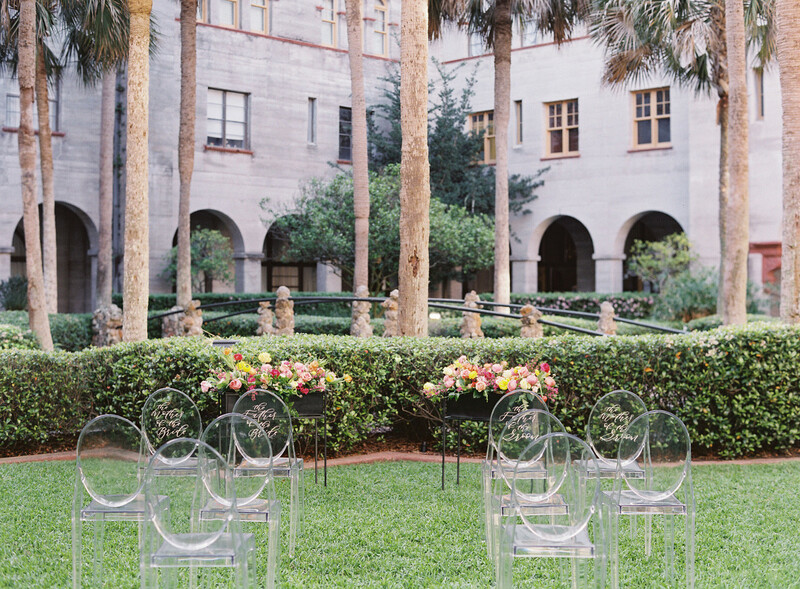 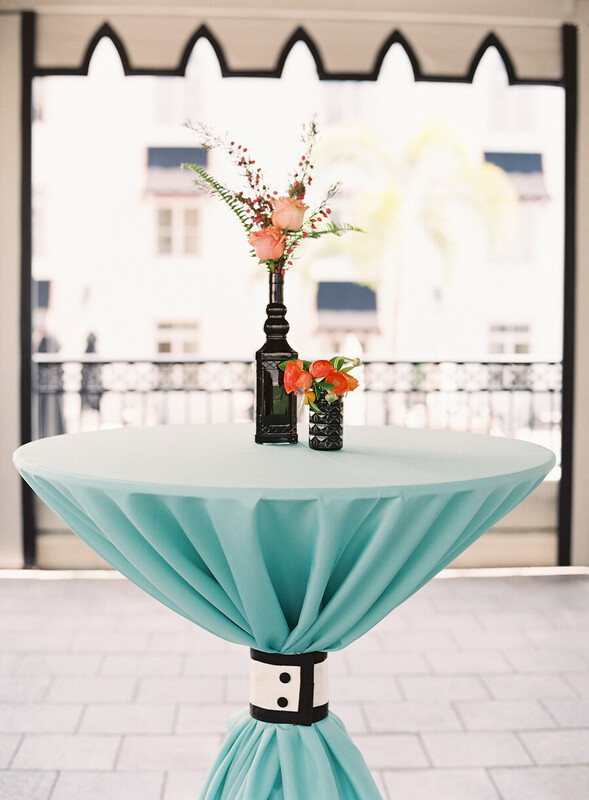 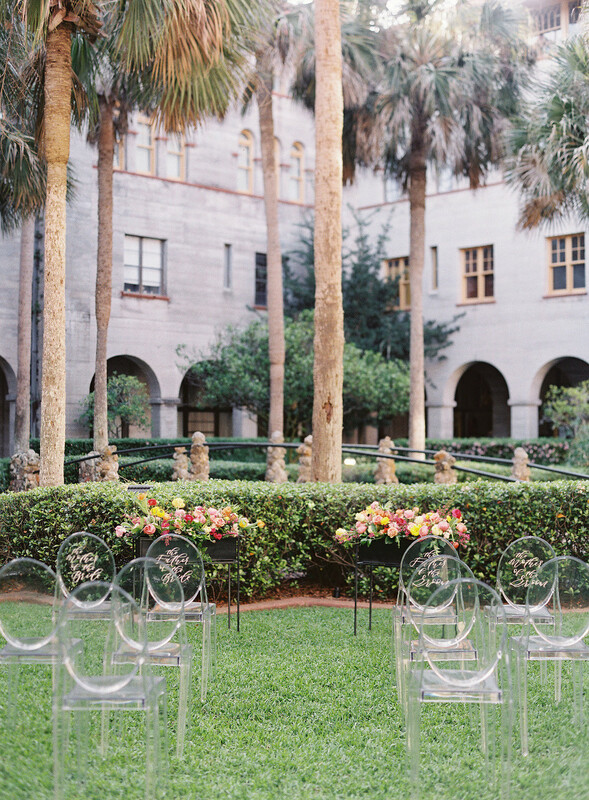 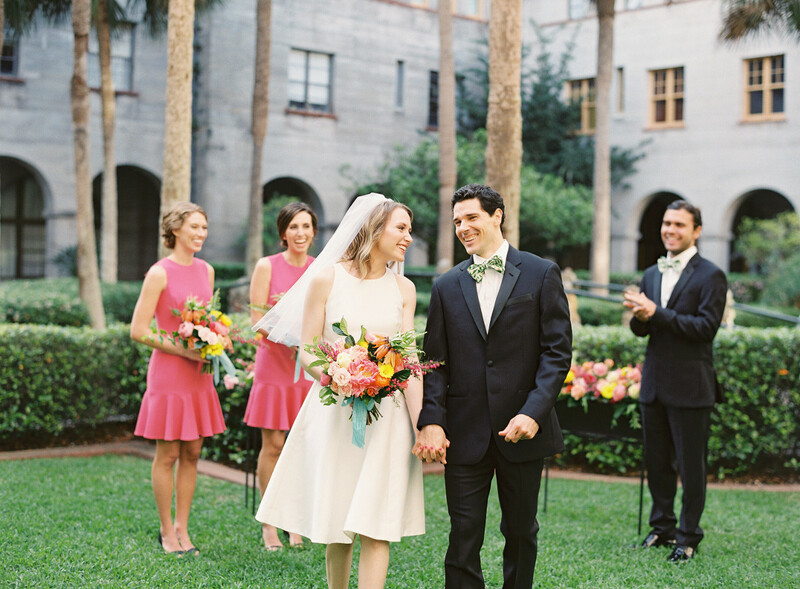 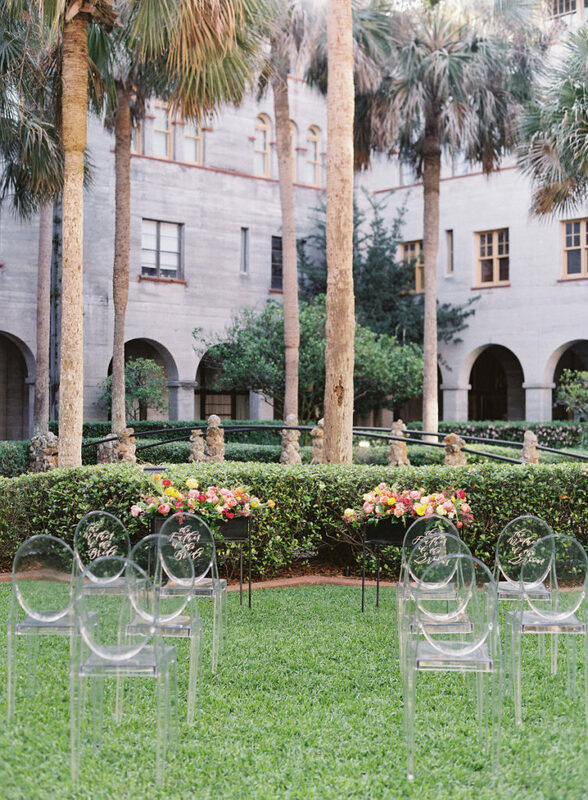 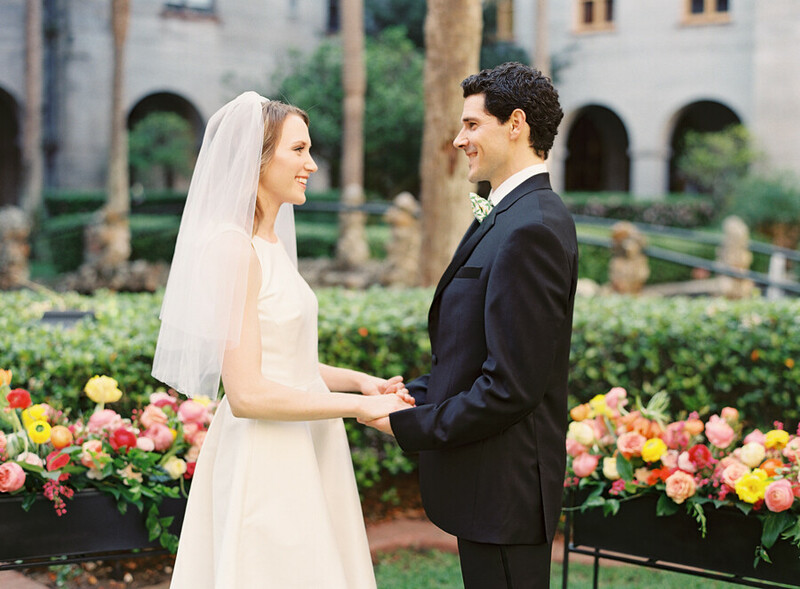 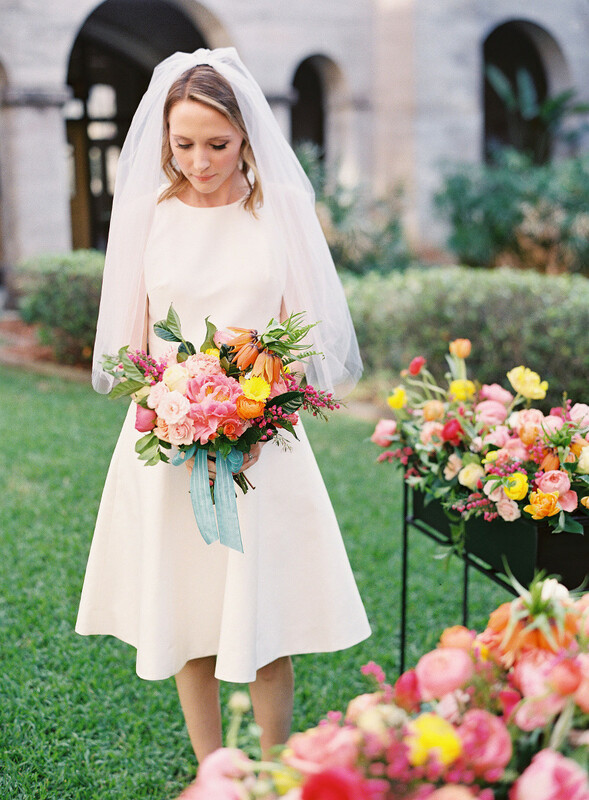 We were able to style the shoot at the beautiful, historic Casa Monica Hotel & the courtyard of the Lightner Museum in St. Augustine, Florida. 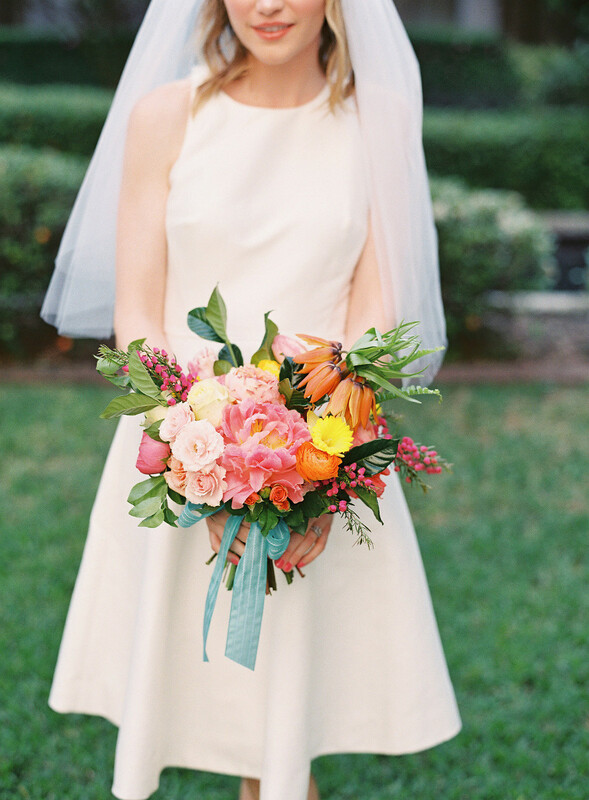 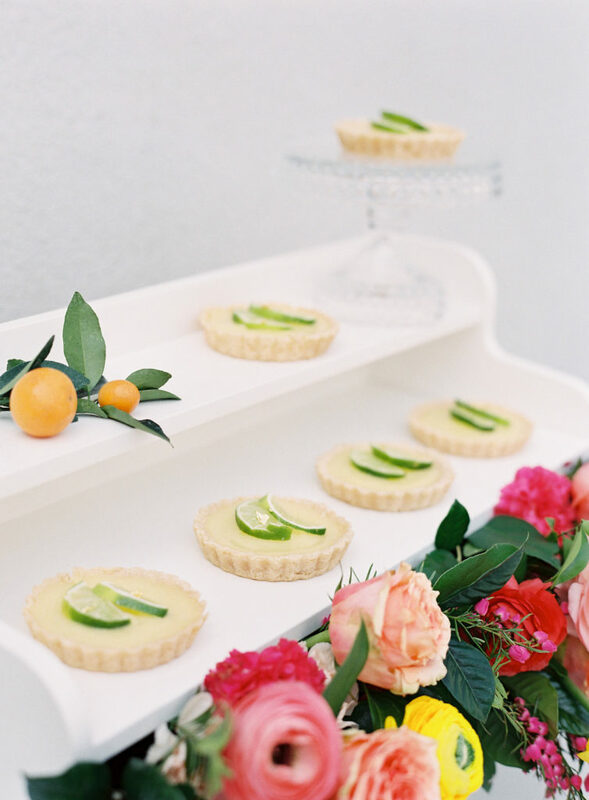 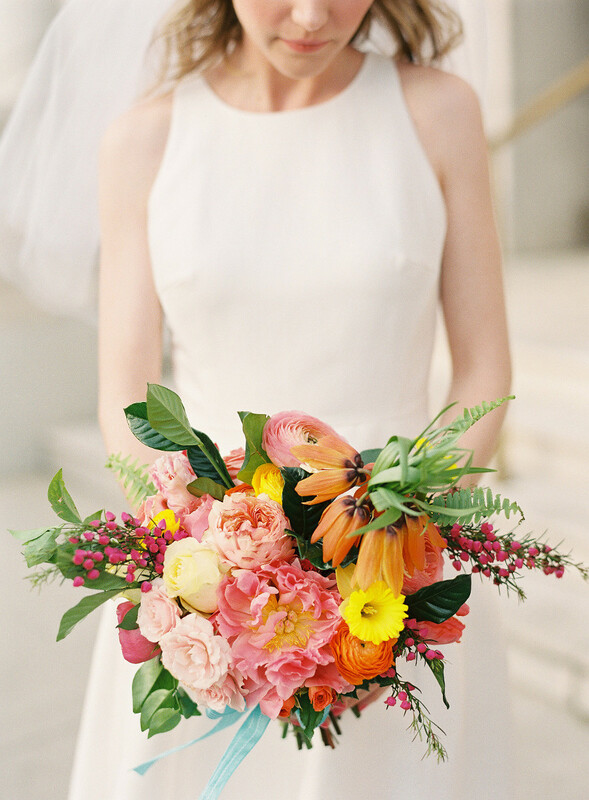 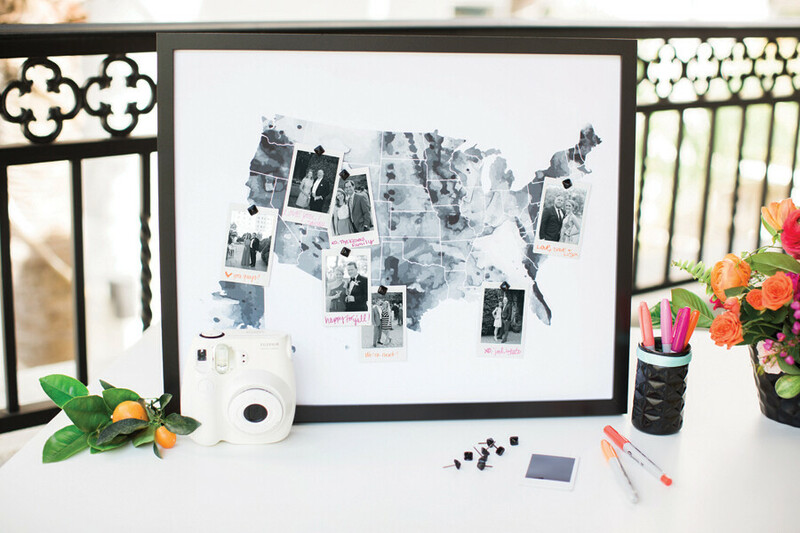 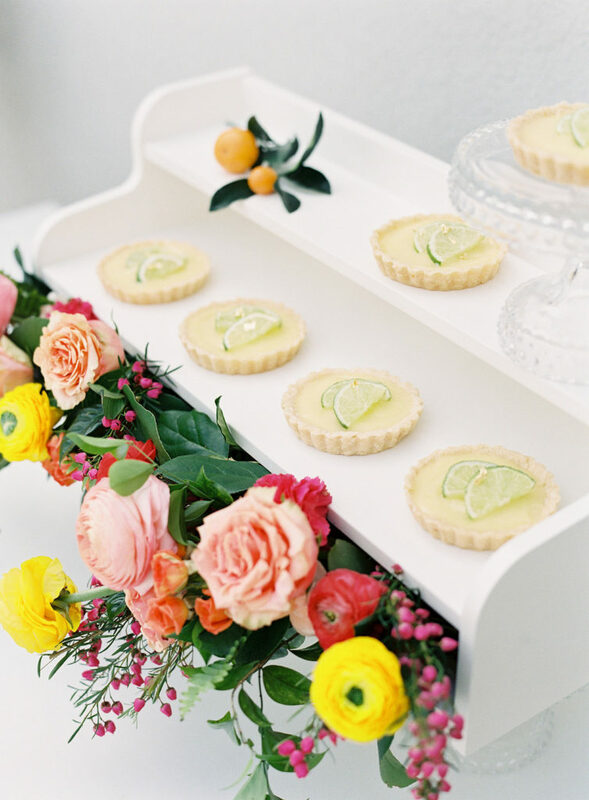 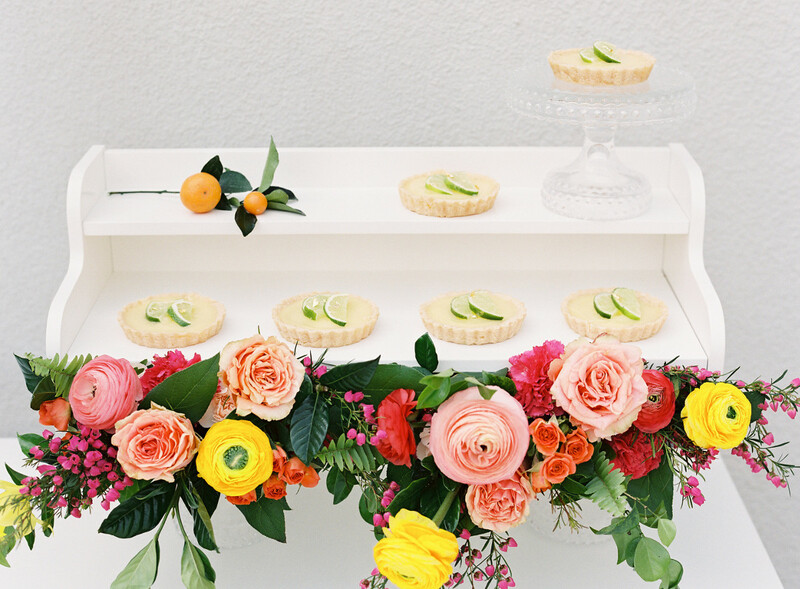 We knew that we wanted to help tie in as many of the cheerful, bright citrus colors as possible. It was so fun to see how the bold, bright colors throughout the day popped off the green grass at the ceremony and the gorgeous stone deck of the reception. 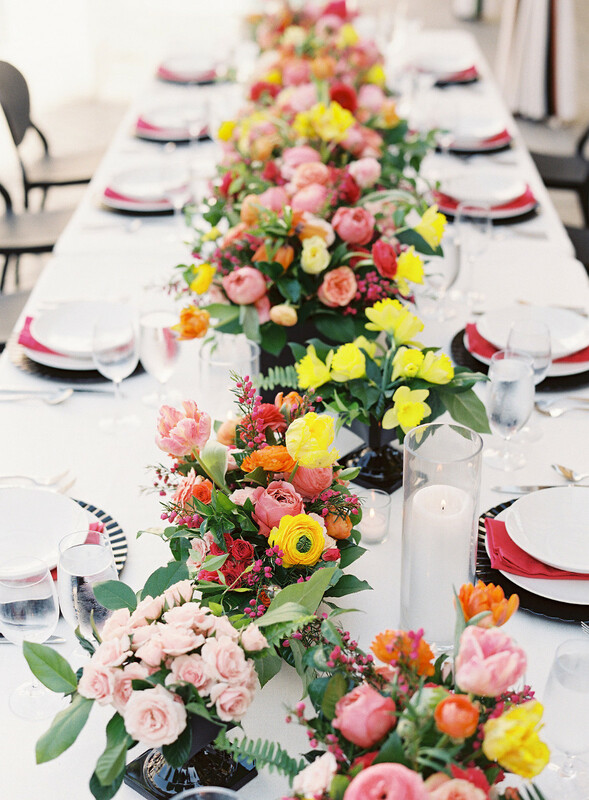 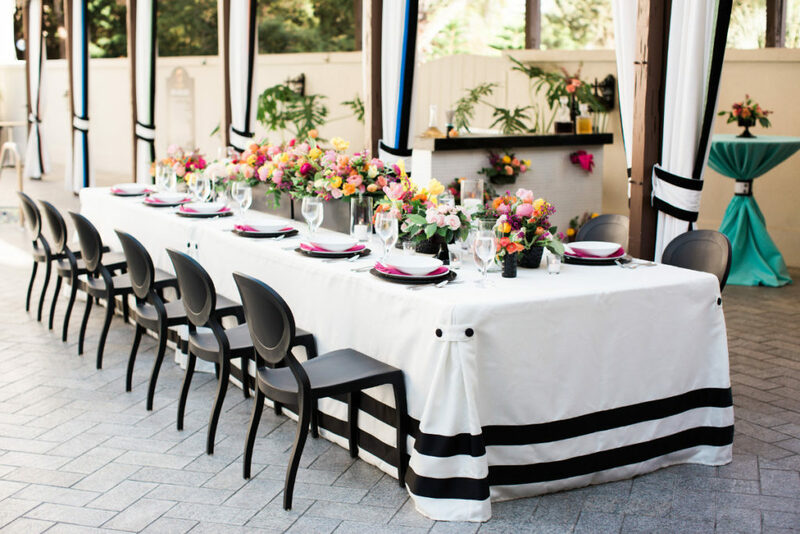 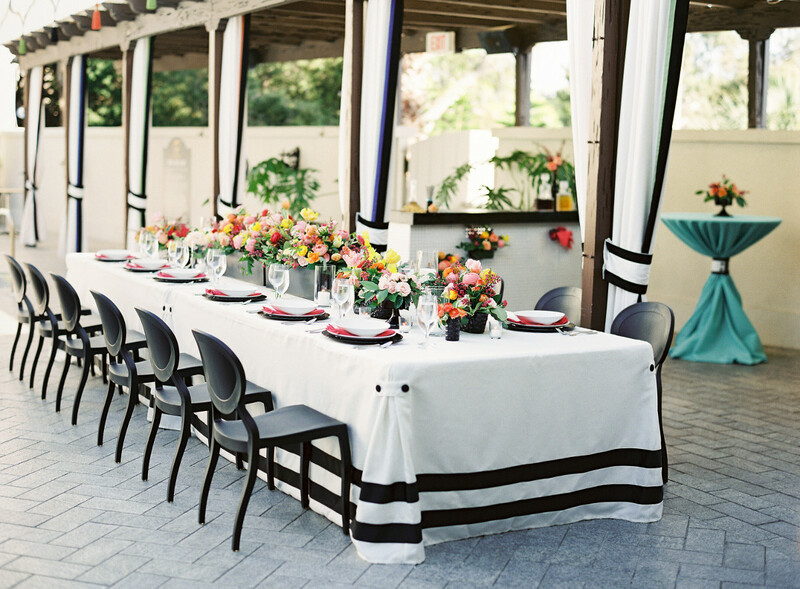 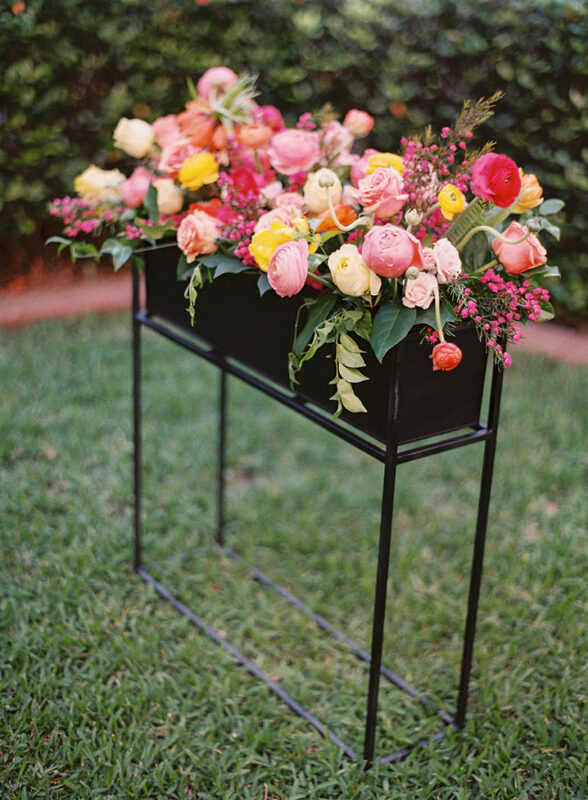 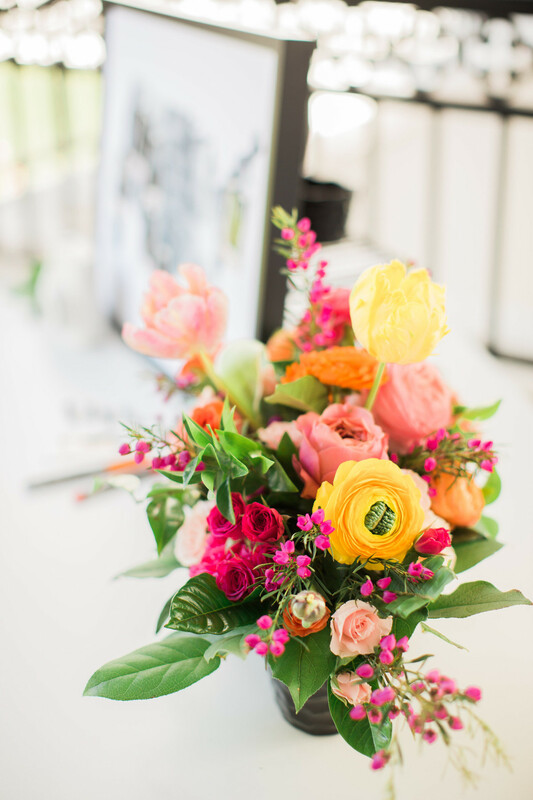 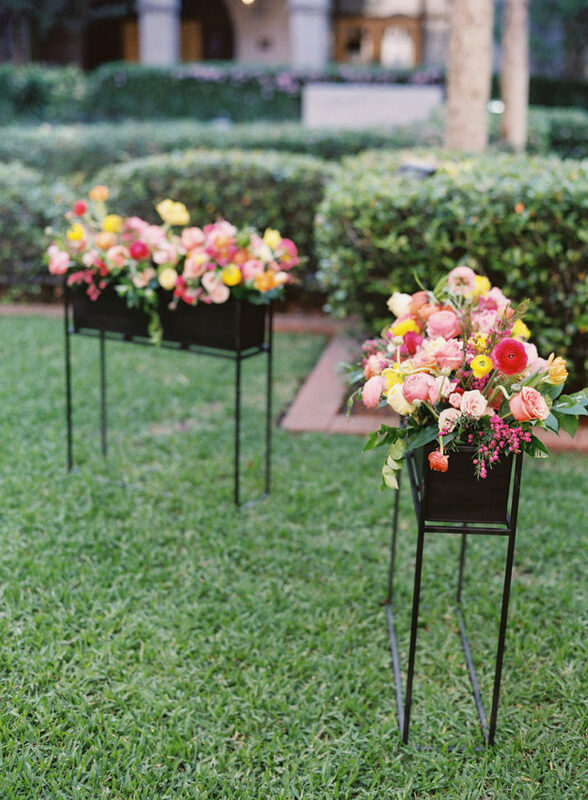 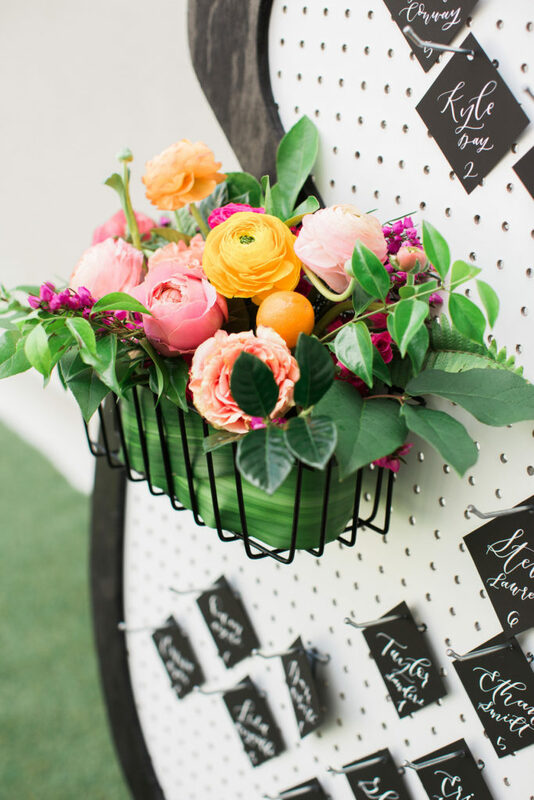 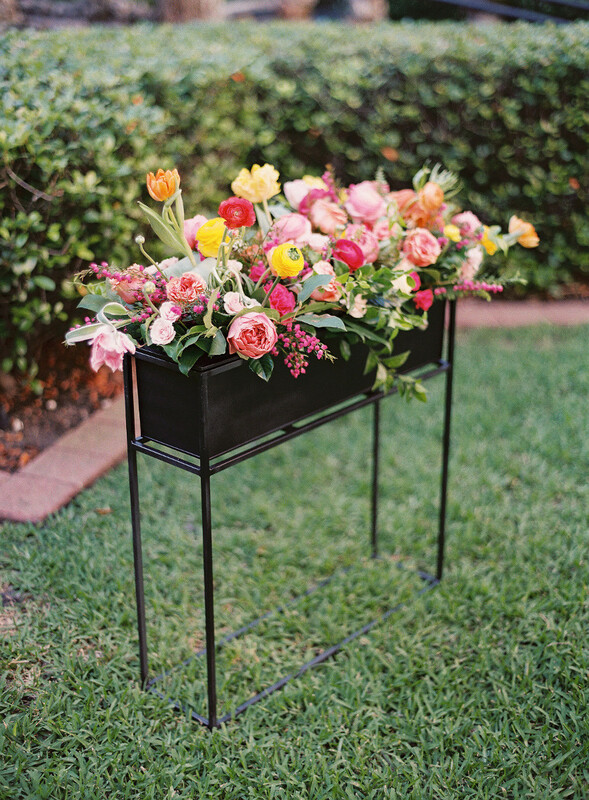 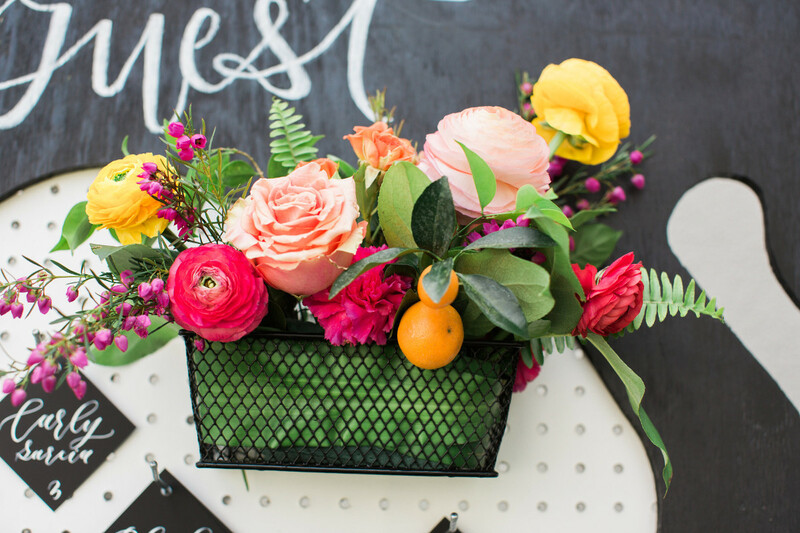 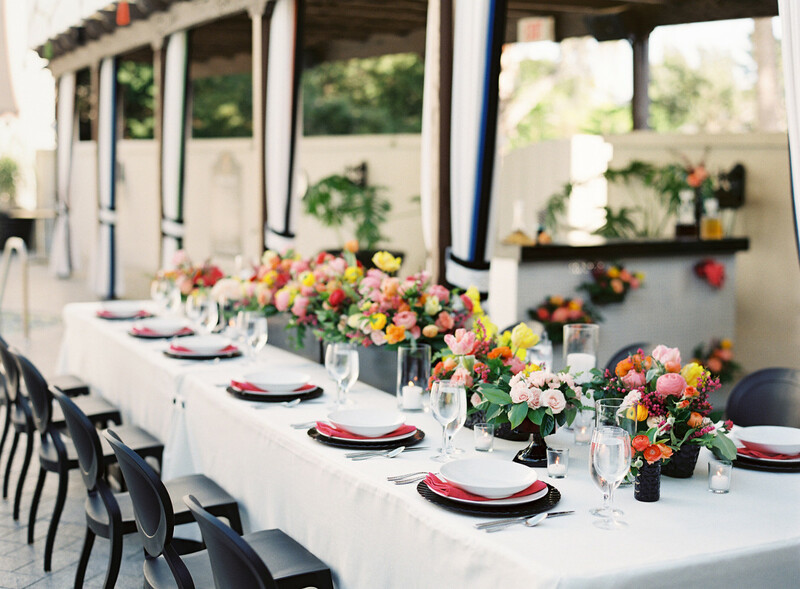 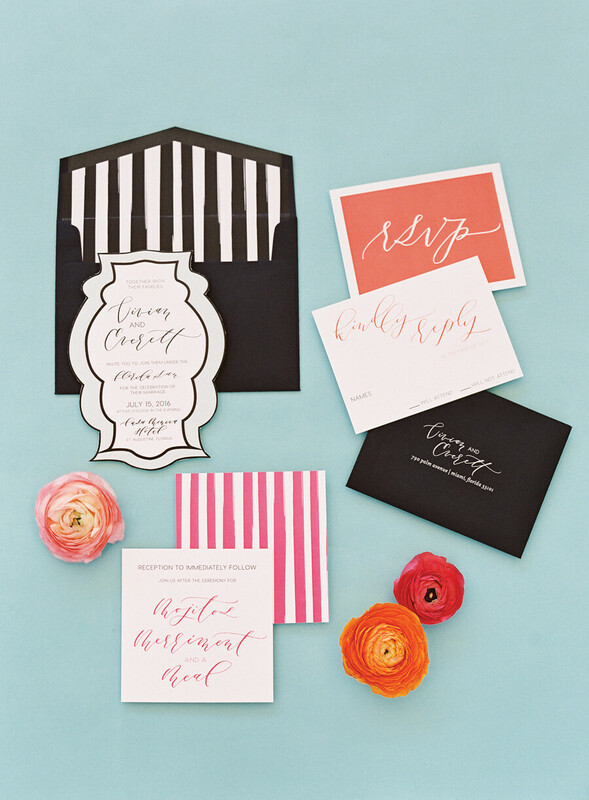 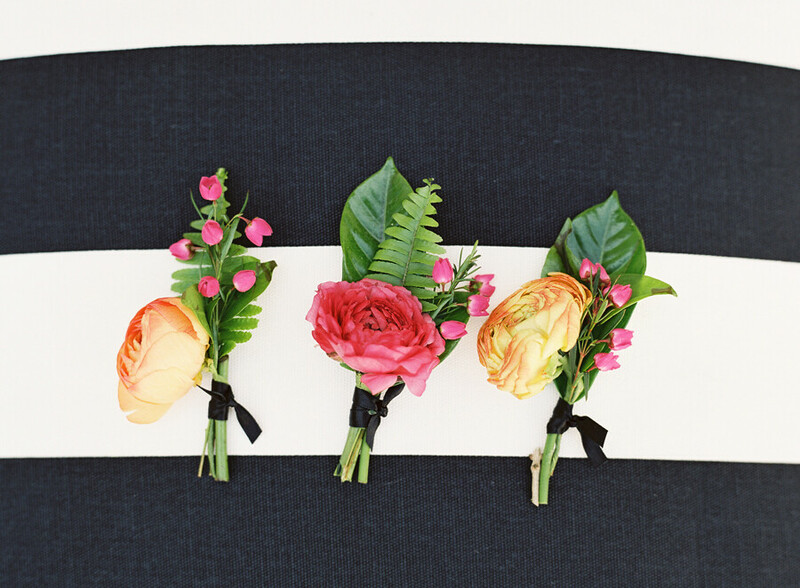 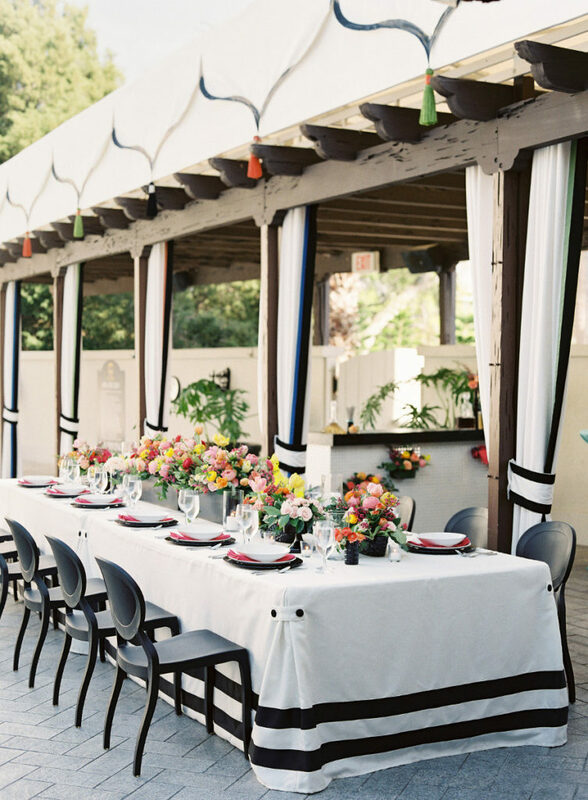 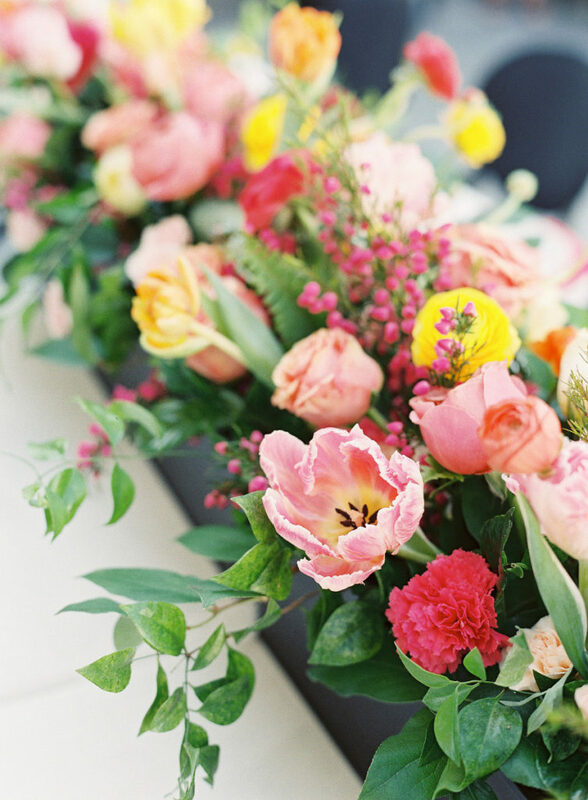 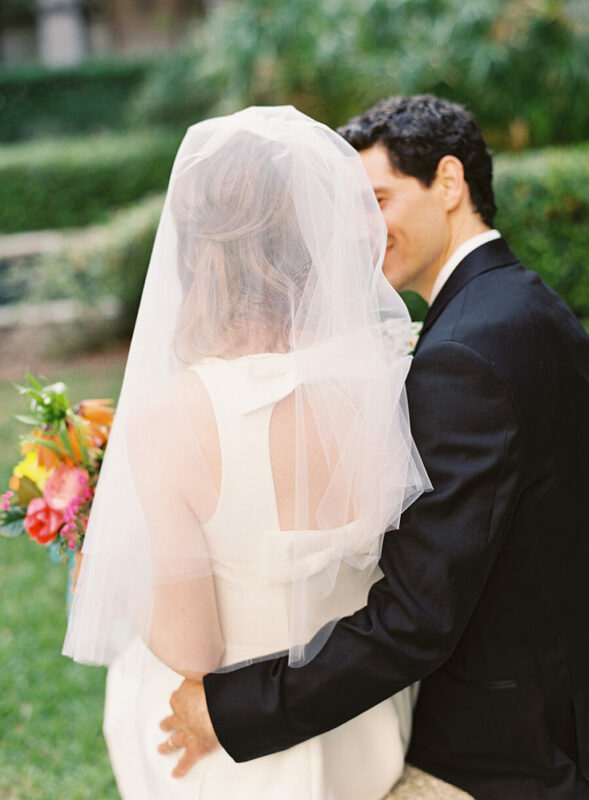 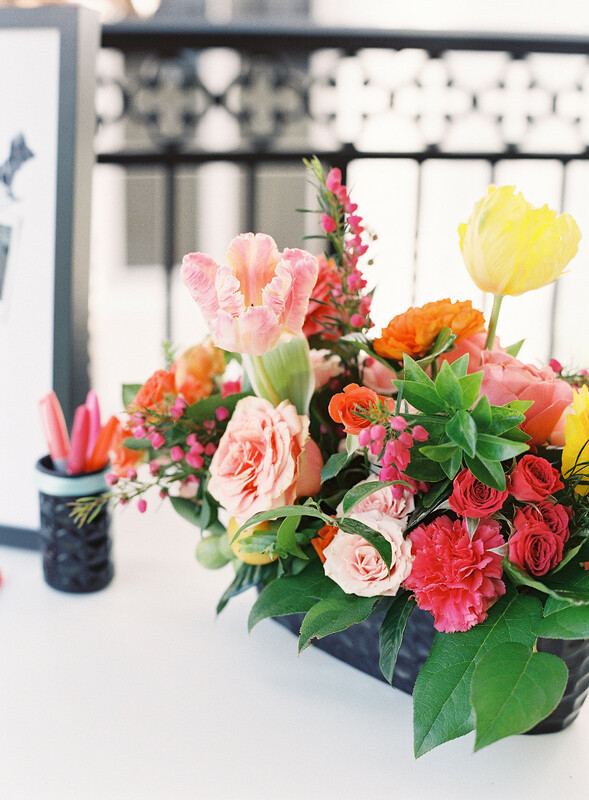 The overflowing blooms in the modern, black stands were some of our absolute favorites! 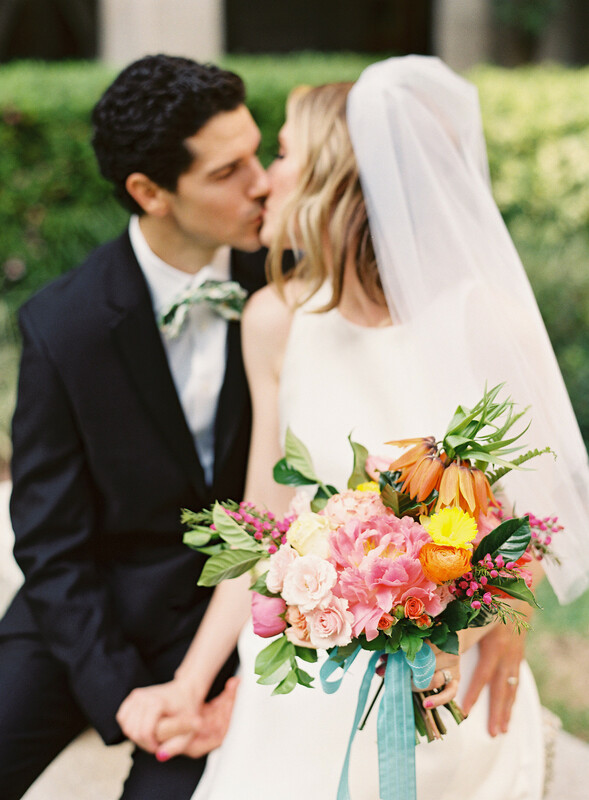 They turned out so well, and we loved how the abundance of the florals were a welcoming, bright moment for the altar.